Women have long been underrepresented among undergraduates in computer science and engineering for a complex variety of reasons. Scientists in the US have developed their very own pair of rose-tinted spectacles by adapting Google Glass to measure the chlorophyll concentration of leaves. Aydogan Ozcan and his research group at the University of California are passionate about creating new technologies through innovative, photonic methods and are well acquainted with the possibilities of wearable technology in scientific research. Chlorophyll concentration is a handy metric for monitoring plant health and the system devised by Ozcan’s team combines Google Glass with a custom made leaf holder and bespoke software to determine just that. By placing the leaf into the handheld 3D-printed leaf holder and illuminating it with red then white LEDs, the system exploits chlorophyll’s low light absorption in the green part of the visible spectrum. Google Glass images the leaf through software that is initiated by the voice command ‘Okay Glass, image a leaf’, which is sent to a remote server to process the results. In less than 10 seconds, an estimated chlorophyll content result is then sent back to the Glass for viewing. 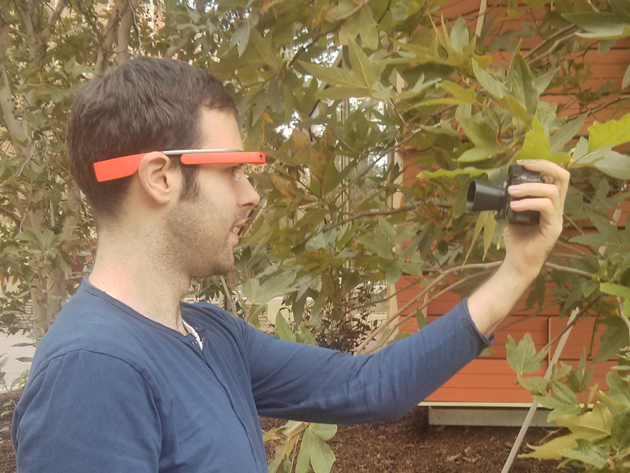 ‘Performing the experiments on the UCLA campus was a funny experience,’ explains Ozcan, ‘wearing the Google Glass attracted everyone’s attention’. Powerful drugs known as BRAF-inhibitors have been crucial for melanoma patients, saving lives through their ability to turn off the BRAF protein’s power to spur cancer cell growth. Yet they often work for only a year or less. Scientists know some of the DNA mutations that cause the drug resistance, but scientists have not been able to determine the underlying cause of the resistance in as many as a third of these patients. As a result, identifying genomic-based follow-up therapies for these patients has been a challenge. 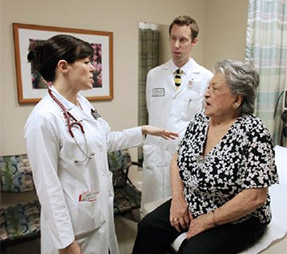 Researchers at The University of Texas MD Anderson Cancer Center may have found a way to more accurately predict which patients will likely respond to genomic-based follow-up therapies, by looking at unique “protein patterns” in melanoma patients. Certain compounds involved in metabolism are measurably depleted in the blood of people and rats that are sleep deprived, according study published in PNAS this week (February 9). Researchers from the University of Pennsylvania Perelman School of Medicine and their colleagues detected changes in several metabolites in the blood of rats and humans that slept only four hours a night for five nights, with two of these metabolites—oxalic acid, which is a byproduct of normal metabolism, and diacylglycerol 36:3, which plays a role in energy storage—dropping precipitously in both species.